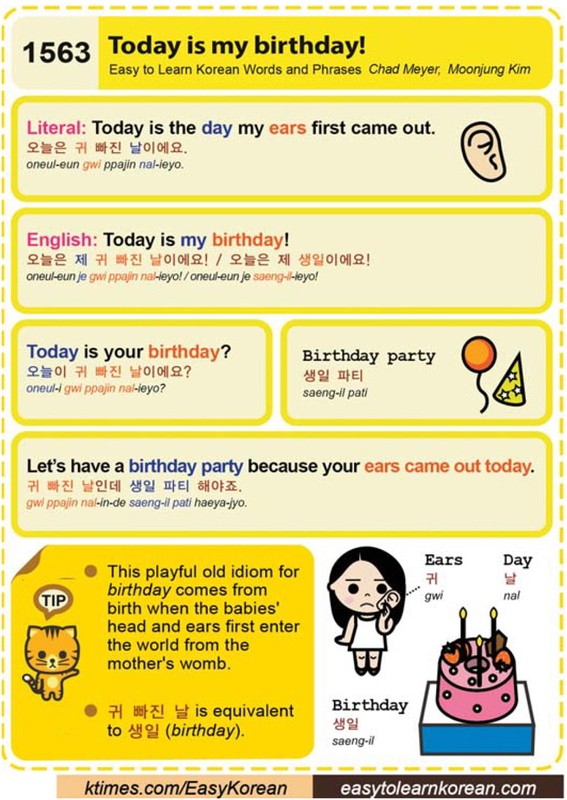 This entry was posted in Series and tagged Birthday, birthday party, day, ears, expression, idiom, Let’s have a birthday party because your ears came out today., today is my birthday, Today is the day my ears first came out., Today is your birthday?, 귀, 귀 빠진 날, 귀 빠진 날인데 생일 파티 해야죠., 날, 생일, 생일 파티, 오늘은 귀 빠진 날이에요., 오늘은 제 귀 빠진 날이에요! / 오늘은 제 생일이에요!, 오늘이 귀 빠진 날이에요? by easykorean. Bookmark the permalink.